In this page we will discuss to work in Appium with Java, meaning here there wont be much theory on Appium, since we have already discussed about Appium in theory in Understanding Appium page. 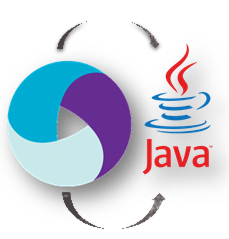 Here are the list of topics for Appium with Java and we will start with very basic to near advance by covering all the topics required by one to get started in Appium automation for their day to day work !!! Thank you so much for creating such beautiful videos.Your videos about Appium is very clear and easy to follow. Can you post a video should contain all action class functionalities like touch action, drag ,vertical and horizontal swipe.? All your post are really helpful for me. If it possible then post some more video with new features. I’m using TestNG to run test with xml file. So i want to run test after working day. DO we have a solution to run test with timer? Ex: i want to run test at 8PM automatically. I guess you can run only by external tools like Windows Scheduler or CI tools like Jenkins not that TestNG can do it. When we plan to run Appium TestNG with Jenkins… Do we need to connect real device remain or how this should run as headless for Mobile. Can you please suggest some good approach. Thanks. Excellent presentation, very focused and on point!